Visionary Albi Brückner created the NamibRand Nature Reserve in the mid-1980s by buying 8 farms, dropping the fences, and so conserving the land and wildlife within this 220 000-hectare wilderness. In 1994 Stephan Brückner built Dunes Camp on Wolwedans farm and so the Wolwedans Collection was born. Today Wolwedans comprises 5 lodges and camps including the latest addition, Boulders Safari Camp. 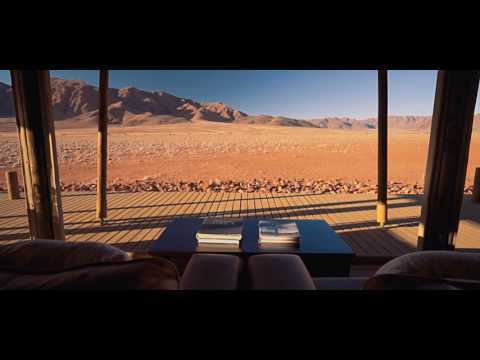 The red dunes, the endless yellow plains, impressive mountain ranges and a fascinating eco-system in the 220 000-hectare, private NamibRand Nature Reserve are unlike anything you've ever experienced. Enjoy this vast, peaceful space with Bushman walks, e-biking, scenic drives or even scenic flights over the desert, or take a moment to really connect, with "Solitude" - a silent, meditative experience. Wolwedans is guided by an approach where people, nature and business are equally important. The commercial aim ensures the NamibRand Nature Reserve’s financial viability, thus assuring the conservation of the area for future generations. Joining The Long Run in 2011, Wolwedans is committed to a holistic balance of the 4Cs – Conservation, Community, Culture and Commerce – and contributes meaningfully to the biodiversity in the region. BOULDERS SAFARI CAMP: NAD 8 632 per person sharing. Minimum 3 nights, set departures on Thursdays and Mondays. 50% discount on 3rd night. WOLWEDANS PRIVATE CAMP: NAD 9 080 per person sharing. Minimum 3 adults. Windhoek/Swakopmund is a 6- to 7-hour scenic drive to Aandster/Wolwedans receptions respectively. Wolwedans offers privately guided journeys from Windhoek in a closed 4x4. Or fly into Aandster/Wolwedans airstrips (± 60 minutes from Windhoek/Swakopmund respectively) and road transfer to camp (30 minutes to Boulders and 5 minutes to Private). 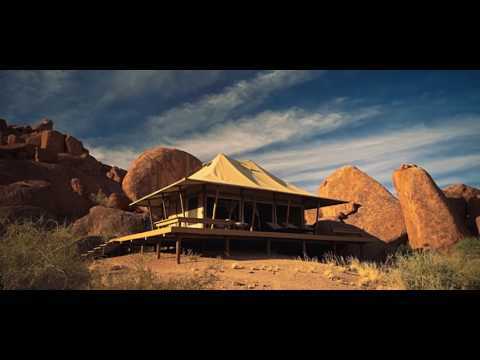 WOLWEDANS PRIVATE CAMP: Exclusive-use, 3 x Suites, minimum 3 adults. Scenic morning and/or afternoon drives, sundowner drives, Wolwedans Village Tour (a day-safari from Boulders), bushman walks, Solitude (silent meditative experience), e-biking. Additional: scenic flights, massages, bush barbeques, landscape art. WOLWEDANS PRIVATE CAMP: hot-air ballooning, horse riding. The vast 220 000-hectare private NamibRand Nature Reserve, an International Dark Sky Reserve, offers a landscape of red dune belts, gravel plains, mountains and "inselbergs". It is incomparable to anything you have ever experienced. The powerful silence of this wild desolation beckons your soul. It is simply out of this world. Located only 60 kilometers from the coast, summer evenings are cooled by refreshing west winds, while winter mornings make for exceptional photography with layers of fog in the desert. Here you discover two exclusive experiences which combine to create the most immersive journey through this desert wilderness - Wolwedans Private Camp and Boulders Safari Camp. Children of all ages are welcome at Wolwedans Private Camp. Activities are private by default and there are multiple spaces for kids and adults to relax in. Wolwedans can pitch an igloo tent on the deck next to the parents' room (fun for children and privacy for parents). This needs to be pre-booked. Children who share a room with parents or sleep on their parents' deck in the igloo tent pay 25% of the adult rate - this is an extra bed rate for children. In consideration of other guests, please note that babies and kids under 6 years old can only stay at Boulders Safari Camp if it is booked exclusively. The solar-powered, 500W electric motor-assisted bikes (e-bikes) are designed with wide tyres (fat bikes) for the red sand dunes of the Namib and vast flat Chateau plains. They provide the cyclist with a dual-powered experience that engages them physically, while also providing an extra push for up to 40km per charge, creating a truly exciting gliding effect and sand surfing-like experience. Indulge in a breathtaking scenic flight over the Namib Desert dunes and view the mysterious Atlantic coastline from the air. Experience first-hand the endless horizons that are synonymous with Namibia. In collaboration with sister company, NatureWings, Wolwedans offers you an aerial view of the world’s oldest arid landscape. From Wolwedans Private Camp, it is also possible to take an early morning hot-air balloon flight over this incredible land. Both of these activities are at additional charge and must be pre-booked. The Wolwedans Village Tour is an informative back-of-house walk that takes guests through the elaborate base operations. Guests visit the pump house, the solar panel field, the motor-vehicle workshop, and the battery centre. Then past the stables and to the organic garden. Finally, it meanders past the pigsty, carpenter workshop, student and staff accommodation and ends at the trainees’ classroom opposite the base kitchen where all meals are prepared. The tour encourages guests to get a hands-on experience of Wolwedans operations, gives them the opportunity to ask questions and encourages transparency of the back-of-house. Wolwedans Private Camp can only be booked on an exclusive basis and accommodates 6 adults and up to 4 children in 3 en-suite bedrooms. With only 5 rooms for 10 guests, Boulders Safari Camp is situated in the far south of the reserve, giving a peaceful sense of being completely away from it all. The traversing area is about 50 000 hectares - a whole desert to yourself. For the ultimate soul connection, partake in "Solitude" - a silent meditative experience. Khoisan men from the south of Namibia lead the Bushman walk through the desert. They focus primarily on micro-fauna and flora. Activities from the previous night, like tracks and trails, are sought out and small desert creatures are located, identified and explained to guests.